Sherrin learned to sew at an early age and has been creating for many years. When her husband, Dan Elliott - owner of a local music store, needed straps for the ukuleles that were being sold in his store, Sherrin researched and created her signature Hawaiian print ukuleles straps. 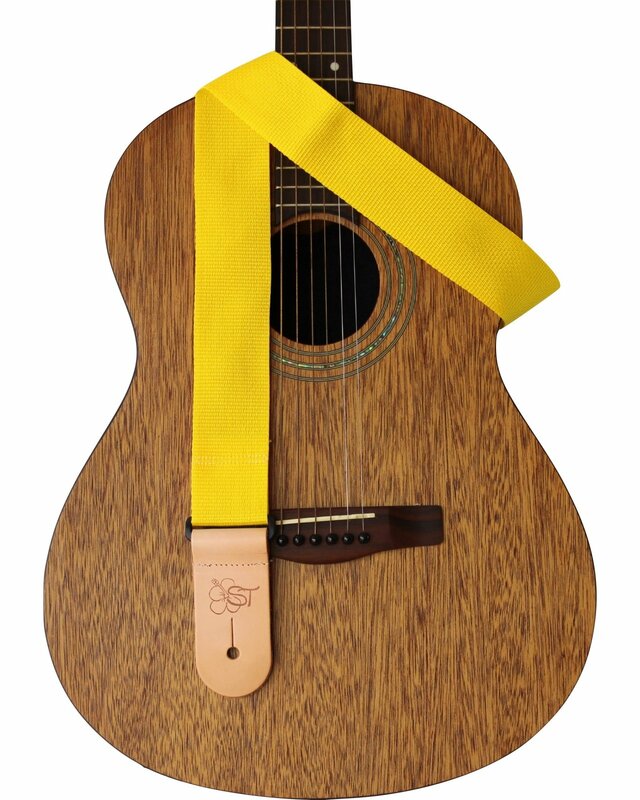 Her products have since expanded into guitar straps and accessories. Over the years her business has grown and become well known throughout the world, made possible by the overwhelming support of musicians, music store owners and other music product manufacturers. Adjustable from 31" to 53" in length. Leather ends made with durable, vegetable tanned leather proven to stand up to tons of wear & tear over the years. Made of vibrantly colored, lightweight polypropylene webbing. No strap buttons? Check out our "Headstock Bracelet" and/or "Banjo Strap Adapters" OR ask your local music store to install buttons for you.